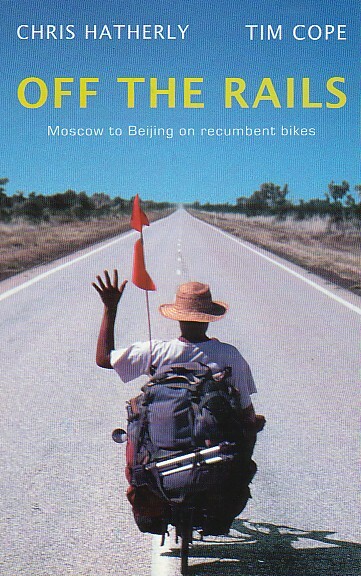 Twenty years old and possessed by a burning desire to challenge themselves in an extraordinary way, Tim Cope and Chris Hatherly plan an epic journey across the vast expanse of Russia, Siberia and Mongolia, to end in Tiananmen Square, Beijing. Not content with such an adventure, however, they decide to undertake it by recumbent bicycle. Tim and Chris are not just fearless adventurers but philosophers on wheels, open to every experience from the voice of the steppes to encountering the nomads of the Gobi desert. An often funny, moving and inspirational tale of living out a dream, Off the Rails is also the story of their tumultuous relationship as two opposing wills battle it out in the midst of heat, snow and hunger. Tim Cope and Chris Hatherly received the Australian National Geographic Young Adventurer of the Year Award and the Spirit of Adventure Award for their travels. 'A journey beyond the limit of endurance. An amazing true story' Sydney Morning Herald. Long Rider Tim Cope is currently on an 8,000-mile equestrian journey from Mongolia to Hungary, and has been made a Fellow of the Royal Geographical Society.